Capadia Designs: Nick Kelsh Photo Tip Site - give it a try! I love to take photographs and I take a lot of them. People often compliment me on my photos (thanks!). But I still feel like there is so much more to learn. With better techniques, I might not need to take quite so many photos to get the "keepers!" I have been wanting to try a class or just spend more time working through the manual for my camera but there simply aren't enough hours in a day. In order to keep me thinking about ways to improve my photos, I subscribed to a new website. Nick Kelsh is a photographer who has a great way of explaining all of the ins and outs of photography. Nick is the author of nine books and has appeared on Oprah and the Today Show. He wrote a column for the Creative Memories magazine for years. He has a great sense of humor and entertains you while you learn little nuggets of photographic wisdom. The website is called How To Photograph Your Life and the subscription is to Nick Kelsh's Photo Tips. There is a free "lite" version and I did try this first. I quickly realized that it would be well worth the subscription fee to get the full version. You can read more about the subscription in a letter from Nick HERE. The site is new and the fee of $19.95 is a bargain. When you are a member you can go back and read all of the archived tips so you won't miss anything and you can watch some of the great little videos over and over if you want to. You can spend hours on the site looking at things but if you subscribe and get the emails you'll have nice bite sized lessons that you can easily fit into your day, There are so many interesting ideas on the site and there will be lots more to come. I am not in any way affiliated with the site (I'm sure Nick has no idea who I am!). I do think that it will help any of you who are interested in learning more about photography. I will post the directions for the little light box set up I use to take photos of my cards. If today isn't too crazy, I should be able to write it up for tomorrow. Just to make my life a bit crazier, I did sign up for the Tim Holtz Creative Chemistry 101 online class. It is an interactive class and starts on Monday. I think you can still sign up if you are interested. It's sure to be a lot of fun and if I get behind the site gives you life long access to the class - so I'll catch up eventually! The image that I used to create the cutting file for the Celtic medallion in yesterday's post was a free sample from Dover Publishing. You can sign up for their weekly email to get the sampler - usually a couple of images from eight books. 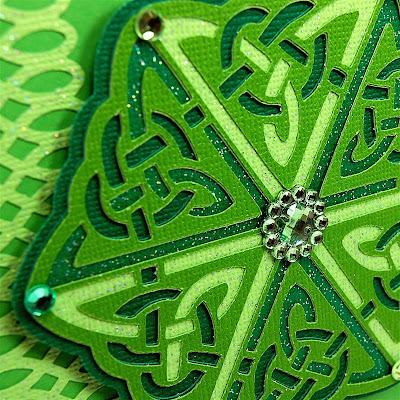 The image is from a book called Celtic Clip Art for Machine Embroidery - here is a LINK to the sample page. I cut the vector file with Make the Cut in a large size and then used the regular version of Silhouette Studio to trace the image and create a file that would cut at a small size for a card. It is supposed to be over 70 degrees today - and for the next four days. Are you having a nice weekend? It's been a bit quiet with comments lately, but I think a lot of people with children had Spring Break this week - I hope it was fun! You have to be one of the busiest people I know. I look forward to all your posts. You always make me think. I'm in southeast Texas so it's usually pretty warm, but we've been getting into the 80's this month. I don't think that bodes well for summer. Diane, thanks so much for the link regarding photography. I was just last night looking at a class, I think at 2 Peas, that helps you get the pictures you want to tell the stories you want. I can use all the ideas I can get for getting my family to cooperate and allow me to take pictures to document our days! 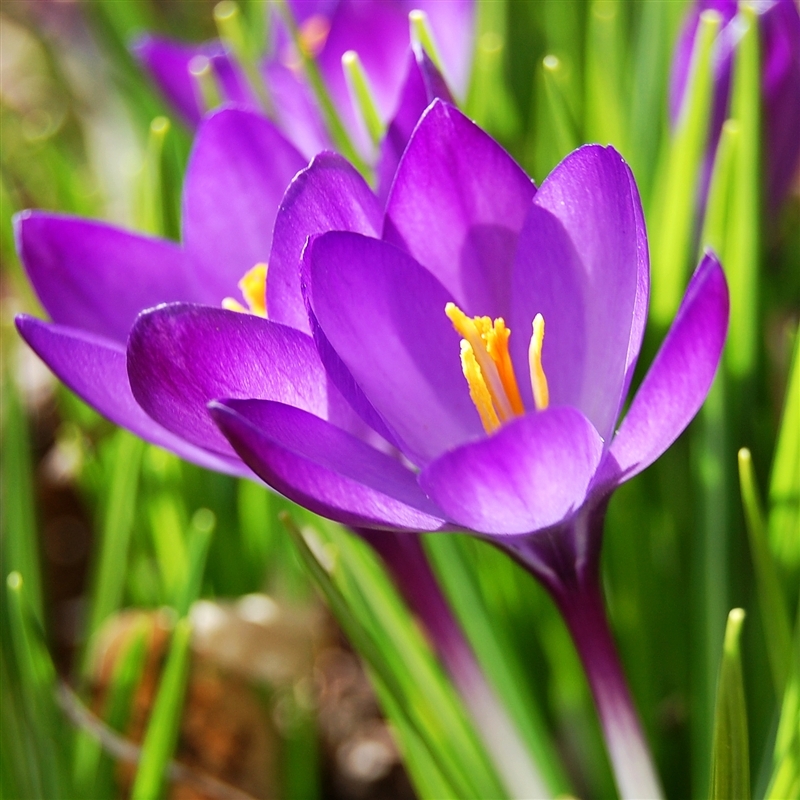 I love your crocus picture! It's just beautiful!!! TFS! Like so many others, I am here everyday to read your blog because I learn so much, but I seldom comment. It's selfish, I know, but I follow lots of blogs and time gets away from me so easily. Since your comments are slow this week, I knew I could jump in to say thank you so much for each and every post. I love your tips and tricks and videos, and I love when you share a great find like Nick's photo site. Diane, thank you for the tip about Nick' site. I have enjoyed all your posts this week, the Pi day recipe sound good, might have to get baking *wink* Your Celtic medallion cut looks amazing, I wish I had gotten the Silhouette insted of my other 2 cutters. Thank you also for your review of the Hello Thursday release and everything else you do and share with us! Thank you for the photography link. I'm going to send it to my husband. He loves his Cannon and all his lenses. I love your educational site so much that I've stayed with you for several years. My how time flies! It's snowy and in the 40's this weekend in the Northwest. Brrrrr! Thanks for the link to Nick Kelsh. I'm trying the daily email but guessing I'll subscribe. I've decided this is the year I'm getting serious about taking better photos. You are a daily source of inspiration. Love your site! Thanks for always sharing your tips and where you go to learn. You are one busy lady!